Björköby is located approximately 16 km north from Replot village. 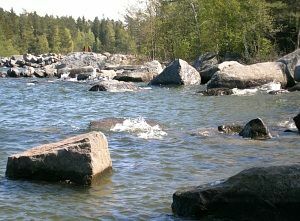 Due to its strategic location between Finland and Sweden, Björköby has played an important role in terms of transportation over the Kvarken. In 1616, the post traffic commenced from Björköby to Sweden and continued for approximately 200 years. From Alskat it is possible to drive the 13 km long winding road over bridges and causeways out to Köklot and Värlax. Improved road connections to the mainland have made it possible for this archipelago community to survive the centralization of society. The peaceful village Norra Vallgrund is fairly centrally located on the island known as Replot, approximately 7 km from Replot village. 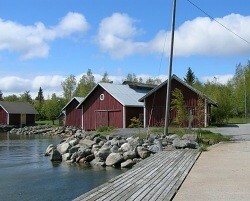 Norra Vallgrund has more than 300 inhabitants. The traditional livelihoods are fishing, seal hunting, agriculture and handicrafts, but today many people commute to their jobs on the mainland. Over the years Replot has been rising from the sea, and the island area has constantly been increasing and changing shape. Approximately 1000 years ago, the Replot village of today consisted of 12 large islands and several small ones. Nowadays, Replot village is a beautiful, thriving archipelago village with a well-functioning service infrastructure. 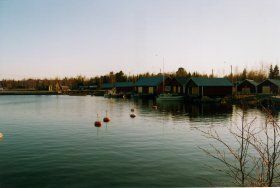 Södra Vallgrund has approximately 350 inhabitants, and the village is located on the southern-most part of Replot island, around 10 km from Replot village. The pilot station and the coastguard station provide a means of livelihood and a certain stability in this archipelago village. The road to Söderudden goes through Replot village and Norra Vallgrund. The Söderudden archipelago consists of Panike, Brändövik, Vistan and Karslö. Approximately 220 inhabitants live here nowadays. 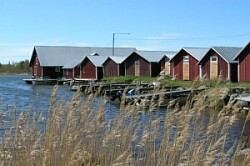 The Söderudden archipelago is a community where people live close to the nature and the sea.